It’s a difficult job to cutting concrete, however, it can be a lot easier with the right experience and right cutting equipment. Whether you need to cut concrete slabs or blocks, floors or walls, the following are some easy ways to cut through tough concrete. When it comes to concrete, many people have a real love-hate relationship with it. We hate it when we have to cut, replace or repair it. We love it because it’s a weather-resistant, heavy-duty, permanent surface. 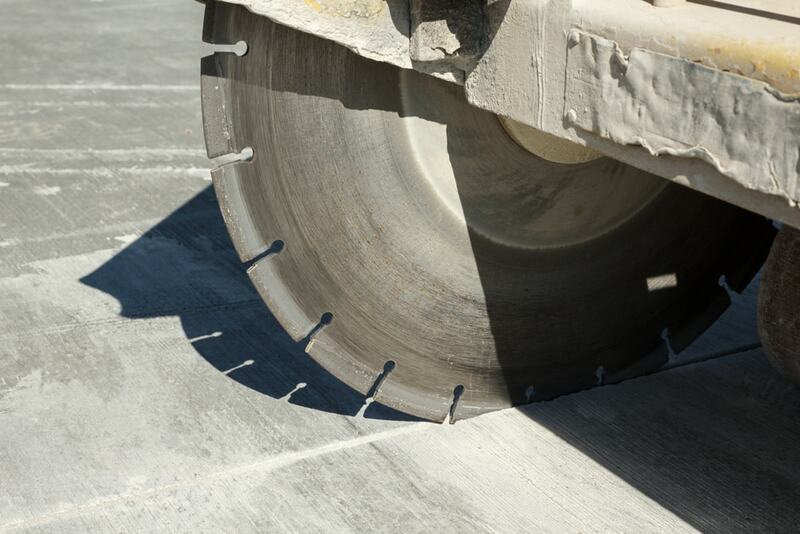 The thought of having to cut concrete can be overwhelming, but that really isn’t necessary. You can win most of the battle just by choosing the right tools. Try using a concrete saw. The following is a list of the most common concrete-cutting chores – ranging from small to enormous – and the best techniques and tools for handling these tasks. Small rough cuts can be made using a sledgehammer and cold chisel. However, a circular saw that has a special blade is the best choice. There are three basic choices that are available. Abrasive corundum masonry blades are widely available and inexpensive (a 7-inch blade costs less than $5). They can cut through asphalt, stucco, and concrete. They are not fast but they are affordable – and in most situations they can cut only shallow 1/4-inch to 1/2-inch passes, making cutting a time-consuming process. They wear away quickly as well. A blade that has a 7-inch diameter at the beginning of a cut wears down to 6 1/2 n=inches after one or two feet have been cut along a line – which means you have to adjust your saw’s depth frequently so that more blade is exposed. Abrasive corundum blades generate plumes of dust, smell and get so hot that they glow. For people only need to make just a few shallow cuts they are an economical option. Dry-cutting diamond blades frequently have either a toothed or serrated rim. This helps to eject waste and keep the blade cool. This type of blade works the best when a series of gradually deeper cuts are made to prevent the blade from overheating. If you are cutting concrete indoors, make sure to seal the area off with duct tape and plastic. All duct openings should also be sealed. 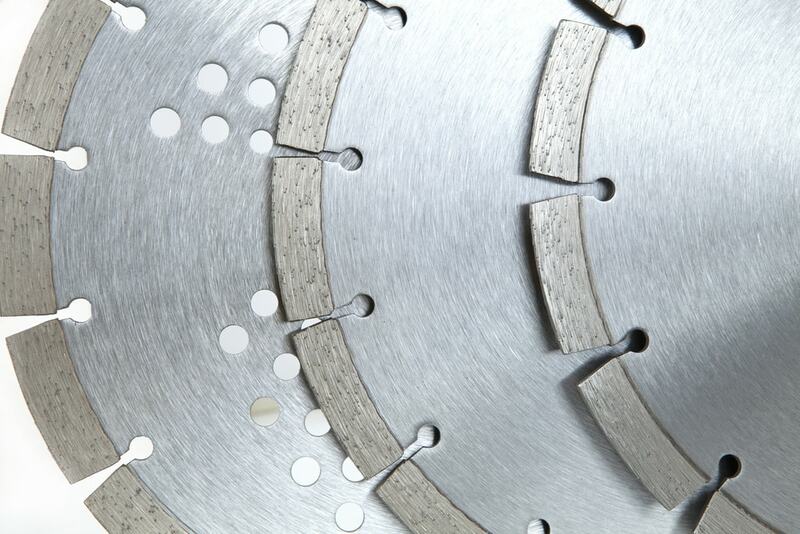 A wet-cutting diamond blade either has a smooth, continuous perimeter or teeth. Water helps keep dust down and also helps to lubricate and cool the blade. They cut the cleanest and fastest, but a special saw is required that can distribute water and also be used around it safely. To make-do, your saw can be plugged into an extension cord that is GFCI-protected and you can get someone to point a small stream of water carefully right in front of your saw as you are cutting. Note: If you are using a diamond blade and its stops cutting, then you might be cutting a material that is too soft. You need to have a hard material wear the metal composite away that the diamond cutting edge is embedded in. That might seem contrary, however, in order for the blade to be sharpened, a cut of cuts made through a harder material will reveal sharp, new diamond edges. Don’t force your saw blade into a cut. Allow the weight of your blade and saw to do the cutting for you. When you are dry-cutting, to prevent overheating, back off of the blade and let it run free every 30-45 seconds. A dry-cutting blade can be used without or with water, but you must always use a wet blade with water. Anytime you are cutting concrete, make sure to wear respiratory, hearing and sight protection, especially when you are dry-cutting. You can always contact your local Concrete Cutting Experts for more tips and details! « Previous Article Enjoying a Dark Chocolate Box: Is Chocolate Good For You?